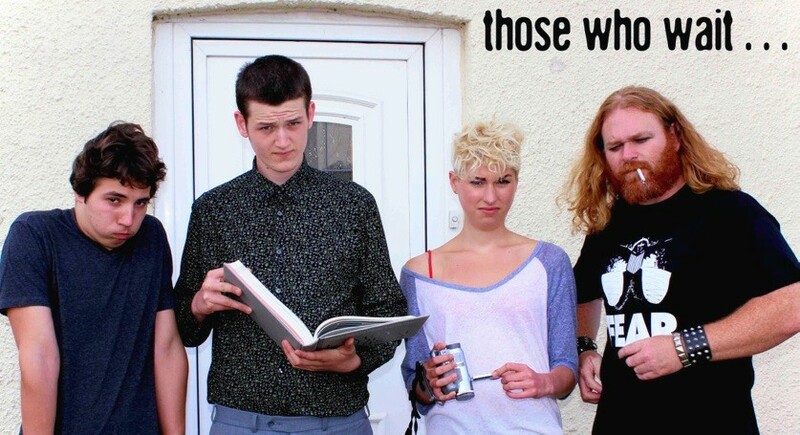 While working on our radio show, Oliver Howlett and I developed a short sitcom called Those Who Wait. We wrote a pilot episode, and then re-edited it into three ‘BLAPs’ for a Channel 4 competition. Jack, Lynnie, Felix and Rupert have just moved into their university digs. A property formally owned by an old lady who just passed away. Lynnie decides to film the moving in process so that they can remember how they got to know each other. While this show is rough around the edges, and has many jokes I simply wouldn’t include now (typically the more vulgar ones), it is included to demonstrate that even in 2012 I was refining and producing comedy. Lou-Lou Mason as Helen and Nigel Howells as Tony.